Miller guild is a restaurant in downtown Seattle that specializes in wood fired style food and has a giant rotisserie in the kitchen. I went with a couple of people I’d met the night before and was very keen to order a bunch of sharing plates and a main. 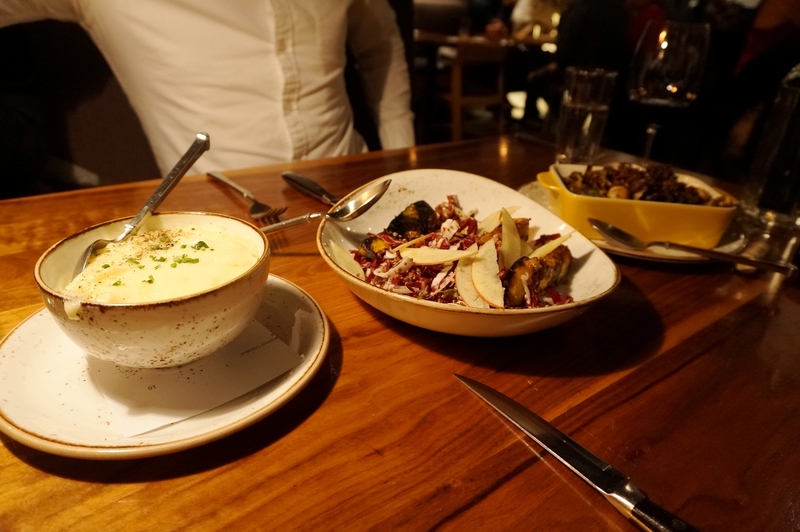 We ordered a bunch of starters then I went for a steak and a plethora of sides. 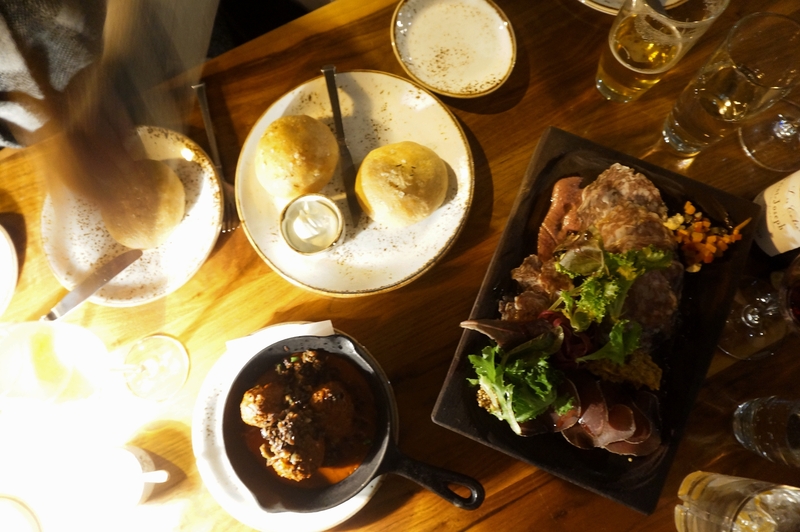 For the starters we went with the charcuterie board and the meatballs with their rosemary bread.. For mains I got the sirloin cooked medium rare and for the sides we went with the mashed potatoes, the squash salad and the Brussels sprouts. 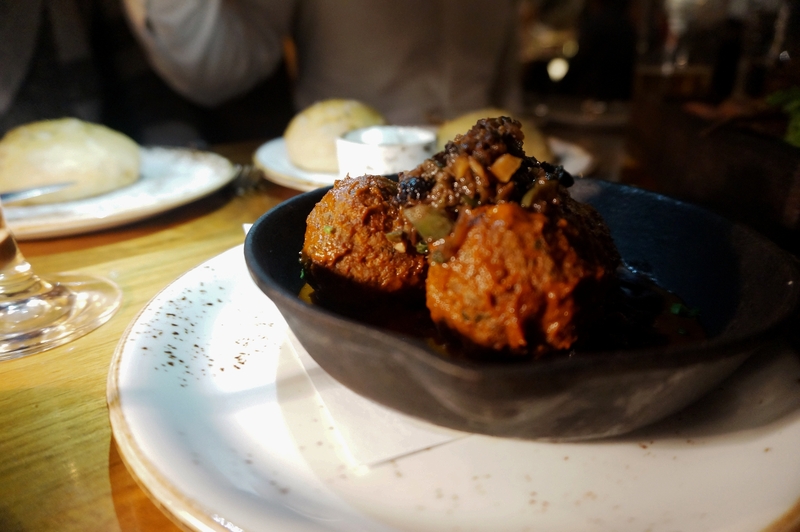 The meatballs were amazing, the flavours were great and the sauce it was served in was all sorts of complex and delicious; to fully enhance the dish it was best eaten with the rosemary bread. The charcuterie was good but not as memorable; nothing stood out and really captured my taste buds. The steaks and sides all came out together around 20 minutes after we were done with the entrée’s and looked and smelled fantastic. Across the table we had two flat irons and my sirlon. All were clearly overcooked which was not a good sign to start with. 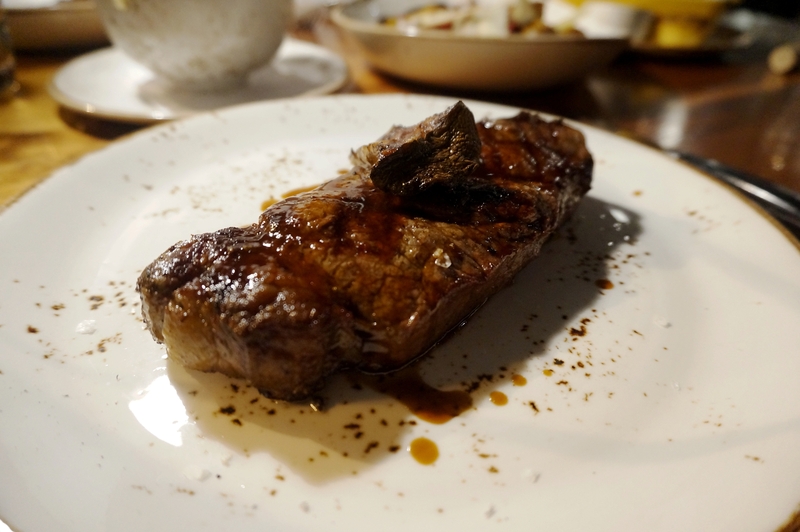 The flavour of each steak was definitely there, a bold richness and smokiness but the texture was hampered by a lack of proper cooking. I wasn’t overly impressed with the mains here due to the fact they pride themselves on their grill and meats and couldn’t deliver. The Mash and sprouts were great sides, done well with a good flavour profile, the sprouts having a slight char with lemon and crunch while the potatoes were creamy and rich. The squash salad however was also a letdown, overly tart accompaniments and a severely undercooked squash which was a pain to eat. 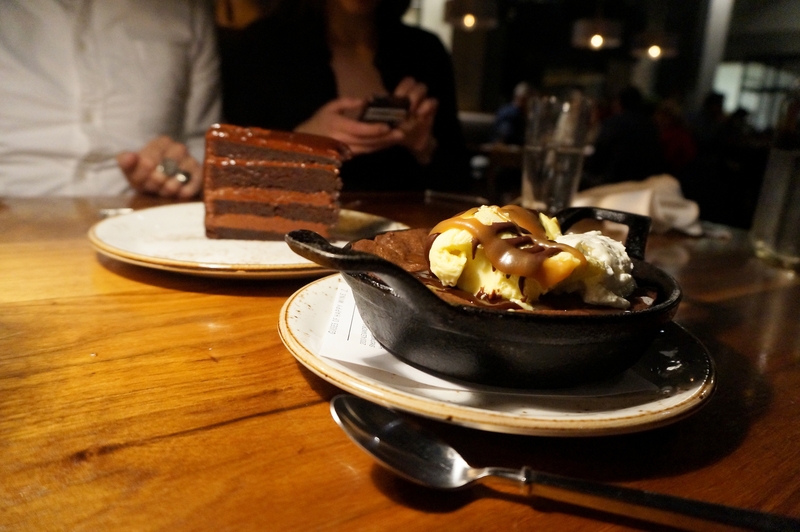 We ordered dessert as well, to round out the meal and our disappointing mains and they lived up to the hype, the decadent nature of the chocolate cake and the richness of the skillet brownie had us leaving the place in a sugar coma. I like to think they were having an off night but I’d have to go back to be able to truly say that. 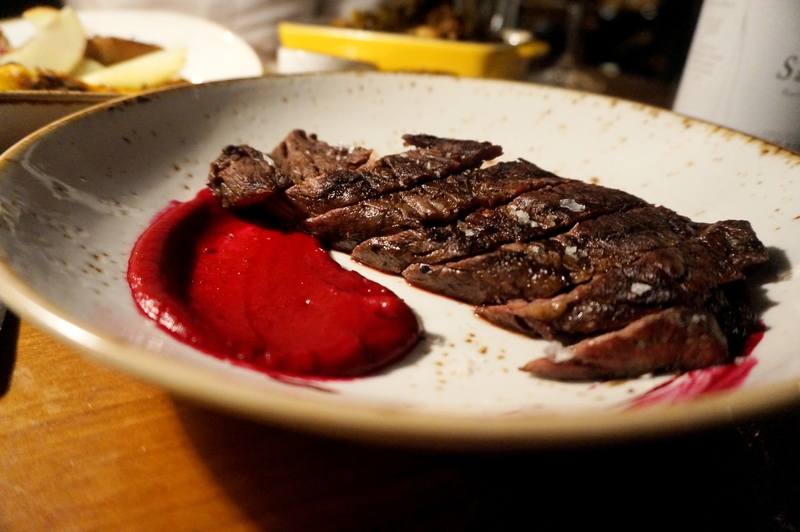 Posted on May 27, 2016 May 27, 2016 by AdrielPosted in Seattle, SteakLESS, United StatesTagged Flat iron, mistake, Seattle, Sirloin, steak.